FACT CHECK: Did Snopes.com get our article right? An obscure fact-checking website managed to fool both of their readers with an inaccurate analysis of Uncle Walt’s Insider. The story is a fabrication. There is no Disney spokesperson named “Jun Disney,” and the incident described as a motivating factor for the company’s purported decision — an apparition of Mickey Mouse in a bowl of cereal in Escanaba — was in fact another fabrication from the same web site. Some of the information mentioned in Snopes’ analysis is correct. Uncle Walt’s Insider does produce satire. 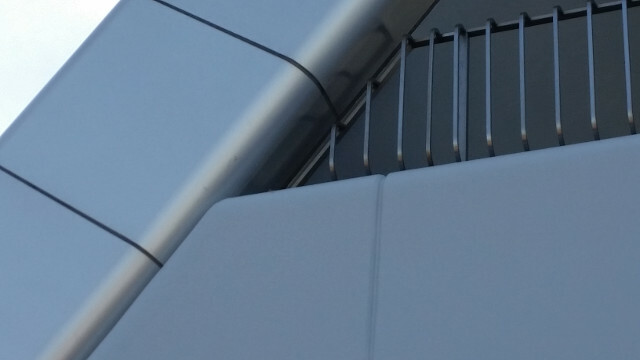 The theme park being built in Escanaba, Michigan, has indeed not been confirmed by The Walt Disney Company (we may have jumped the gun a bit). And the whole cornflake thing is just silly. However, Snopes’ ultimate conclusion is way off the mark. First, they describe Uncle Walt’s Insider as “a relatively obscure satirical website.” While technically true, that kind of hurts, and it was mean and unnecessary, so we’re going to label it as false anyway just to spite them. 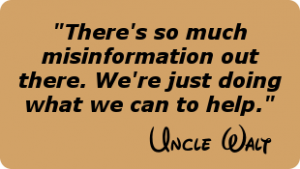 But the big problem with the Snopes article is the characterization of the front-page quote from Uncle Walt as a “fake quote.” That is a very real quote from our Uncle Walt. He says it every day. In fact, that’s all he ever says at our staff meetings. It’s pretty annoying at this point, honestly, but that doesn’t mean it’s fake. Because of their characterization of the very real Uncle Walt quote as fake — and just their overall snippy attitude — we rate the Snopes article as MOSTLY FALSE. 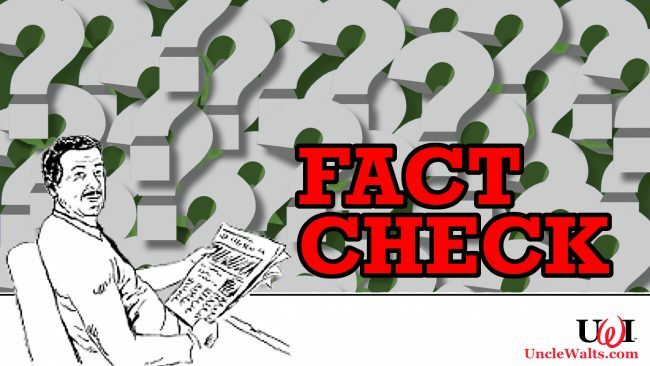 Uncle Walt’s Fact Check is a recurring feature we just thought up. What do you think we should do to Snopes for their fabrication? Will they fact-check our fact-check of them? Let us know in the comments below!